At Sweet Briar, we talk a lot about Indiana Fletcher Williams and her role in founding the College. What we talk about less is that Indiana was born in 1828, a time when men, women and children in the American South labored in slavery. On the grounds of the plantation that would become Sweet Briar College, generations worked the land — both during the era of slavery and after its end. 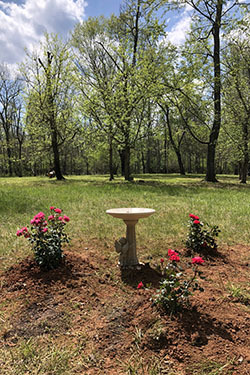 Many of these unknown and invisible founders are buried on the Sweet Briar campus in a cemetery located on a slight rise above the school’s two lakes. The people buried there remain largely unknown, their head and foot stones unmarked with their names. 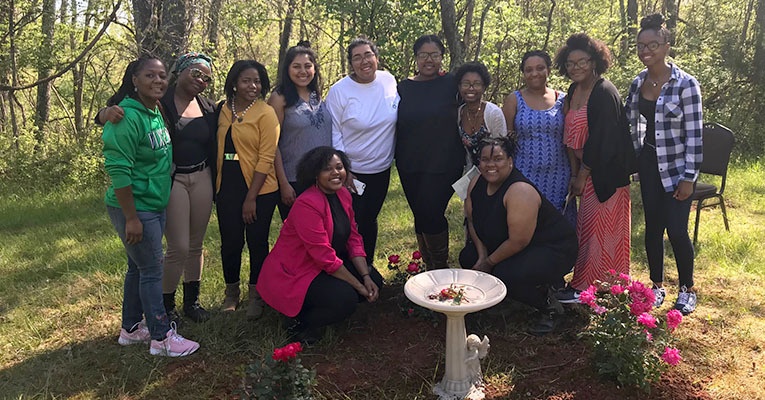 On the last weekend in April, Sweet Briar’s Black Student Alliance (BSA) planted rose bushes at the burial ground, the first step in what they hope will become a more thoughtful and conscious remembrance of these individuals who lived, labored and died on the land that has since become home to thousands of students. 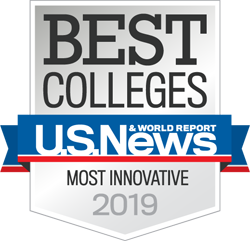 Though these men and women are anonymous to us now, they are blessings to every member of the Sweet Briar community, having laid a foundation for the College that has itself become a blessing to thousands of alumnae.